What is a Sura Detox Retreat? You will share your retreat with up to 20 other people who come from a surprising range of cultures and backgrounds, yet share the same needs. The retreat is a detox and we use fasting as the most effective way of supporting the body's natural ability to cleanse itself. The fast lasts 5-6 days and on the last day you eat. After 1 or 2 days you may experience phases when you will have no energy, you may feel vulnerable and emotional. Then there will be times of quiet energy, mental clarity and a profound sense of ease. We don't want to gloss-over that for some people fasting can be a challenge. There may be times when you feel unwell, but fasting in a held, supported environment makes it much easier to ride the ups and downs that may be part of your process. The upsides are what makes it worthwhile and are why many people come back regularly, regarding their detox like an MOT. At the end of the retreat most people feel rejuvenated and restored to a vitality and sense of abundant life force that they may not have felt for many years. With this is usually an experience of ease, inner peace, happiness and clarity. Very often it feels like our lives dawn anew. We are here to support you through your detox process. We stay on site with you and are available 24-7. We check in with each person daily, and are available for emotional support at any time you need it. This is a serious detox retreat (not a spa or bootcamp! ), offering you understanding about your relationship to food, each other, and your life's choices. We will have fresh juices ready for you 4 times a day, make sure there is a steady supply of teas, toilet rolls etc, provide tai-chi, meditation and yoga sessions, counselling sessions, nutritional talks, and food prep sessions. You will find us in the communal area at around 9am. At other times you should find someone in the staff cottage, if there is anything you need help with - from a light bulb to a hug. You are free at any time to schedule a one-to-one session with team members to discuss any aspect of your retreat. Listen to your body, it is your best guide. Four times each day we make fresh juice. The more juice you consume, the more of the body's energy is spent digesting, so the juices are diluted with filtered water. Even so, consuming the least juice results in the best detox. Psyllium powder or capsules, and detoxing herbs are also taken to make the whole experience more effective and manageable. During the week, there will be opportunity to spend more time going much deeper with Daniel. 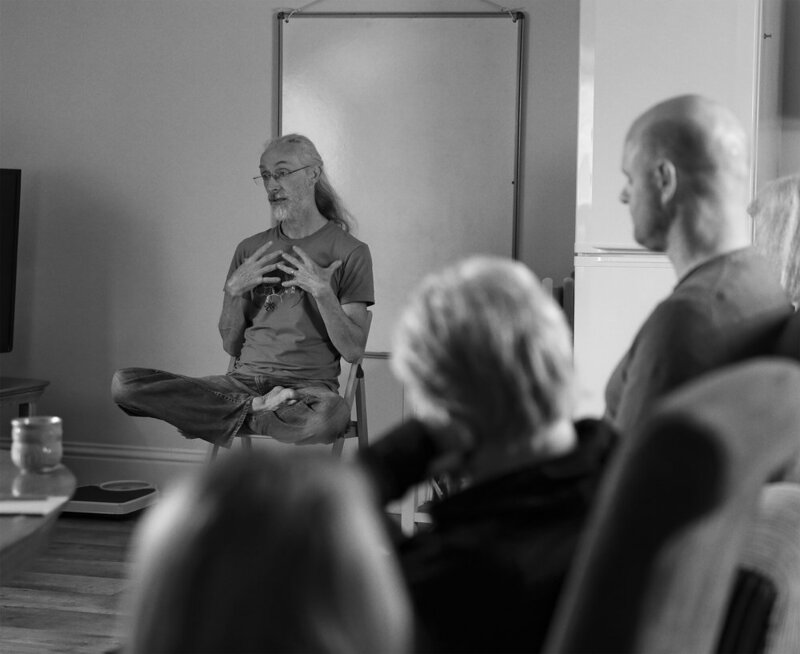 Using his experience with body-based psychotherapies, breath-work and mindfulness, he can support you in a gentle enquiry about where you are in your life, what you truly desire, and what holds you back from living the life you want. With clarity and perspective comes the possibility to embrace your integrity; live with greater authenticity, and to move into the future you want. Using pillows and blankets to support the body, either lying or sitting, we will use muscle tense and release, breath, and visualisation to help the body and mind let go of tension, and rest deeply. The perfect way to wind down before sleep. Many of our participants come to us suffering from the effects of too much stress. Sometimes life gets hard, situations and circumstances come along that knock us off track. Things that we once took in our stride leave us overwhelmed, exhausted and frazzled. We find our thoughts dwelling on the things that might go wrong and we get anxious about things that might never happen. Daniel leads two afternoon workshops where we explore what stress is and look at how we can become more resilient to it and have greater capacity for it. You have a two-hour block each day with nothing scheduled into the programme. Some use this time to socialise, swim, sleep, or watch movies, but there is also the opportunity to walk around the property and beyond. Depending on the weather, Daniel will take a group out to one of the local beaches for a gentle stroll through North Devon's stunning coastline.